In the Men’s event Truuvert and Jordan performed exceptionally in the initial poule round winning five and four fights out of six respectively. 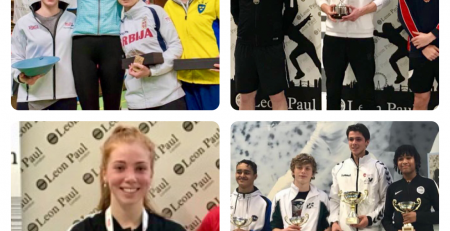 To add to this nearly all Leon Paul fencers were distributed in the top half of the seedings ahead of the direct elimination round. Scott-Payne, Jordan, Degorce and Truuvert all qualified through the L64. Despite the L32 proving to be the end of the road for Truuvert and Scott-Payne, Jordan and Degorce displayed dominance, their opponents scoring no more than 10 hits on them. Unfortunately, the L8 concluded Jordan’s day, he fell to East, 11-15. 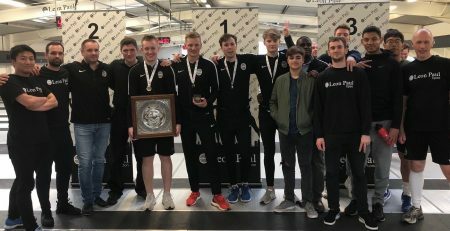 Degorce dispatched Stigant in the L8 before losing to Andrews in the final, in the process winning his first medal in this age group. 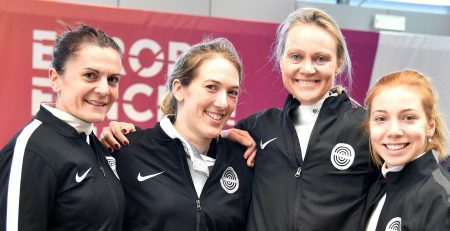 The following day, four Leon Paul fencers tried their hand in the Women’s event. Once again, they showcased a good performance in the poule round, all seeding in the top half of the field. 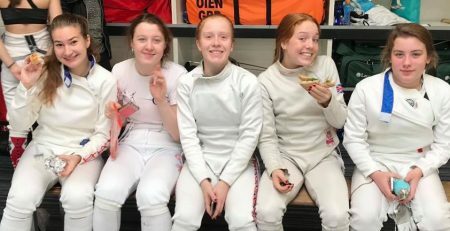 A highlight was Dudley’s performance, she won all but one of her poule matches despite the fact she is in her first year of fencing in the Junior (U20) age group and competing against older and more experienced fencers. Summers and Dudley both made the L16, but Summers was subsequently beaten by Sica, 12-15. In a nail-biting battle with WFFC’s Grant, Dudley fought her way into the L8, the final score reading 15-14. She was then beaten by Stanier in the quarter finals, who went on to win the silver medal. Coach Keni had this to say ‘Our club fencers are fighting nicely in five-point poule matches. The problem is that our fencers are losing more 15-point matches then they should be. Even though their opponents are seeded lower, we are still losing! Maybe this is an issue with tactics, maybe stamina or possibly the psychology of the match. In training there will be an extra focus to change this. Congratulations to Aurelien on his medal!’. 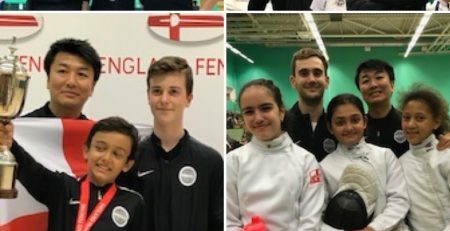 Even though there was a smaller field when compared to other LPJS competitions, our Leon Paul Epee Junior fencers performed at a high level nonetheless. In the U13 Boys category Sunder-Rajan, Campbell-Okolo and Jones all put into practise what they have been recently learning in training sessions. 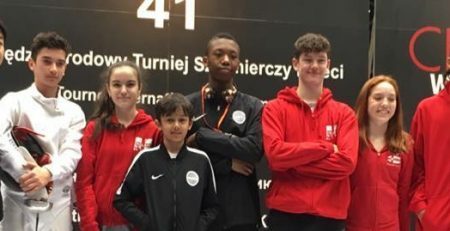 Jones achieved a L8 finish and Sunder-Rajan and Amani met in the final of the competition with Sunder-Rajan emerging as the winner of the competition. In the age group above (U15) Campbell Okolo won silver, narrowly missing out on gold in the final. Lauren Ryder-Garcia won her event in the Eastern Region qualifiers and secured her place in this year’s British Youth Championships which will be held at Sheffield in May. Congratulations Lauren! Congratulations to Jeremy and George for their medals in the novice Epee and well done to Roberto for his good placing in the intermediate competition. Sameer and Casey won gold and silver respectively in Surrey. 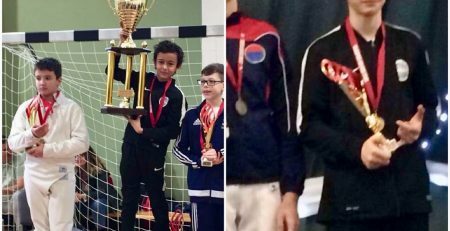 Over in Portugal, Omari added to Leon Paul Epee successes when he achieved a bronze medal in an U14 European Fencing Circuit competition to nicely round of January, a month of fantastic results. 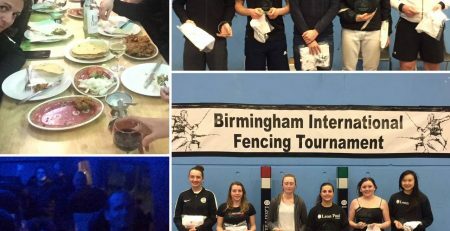 It was another fantastic weekend for our Junior Club fencers. At our home venue over the two days we secured one bronze, three silver and two gold medals. Many high placings were also achieved, highlighted in the U13 Boys category which saw 5 of our fencers in the last 8. 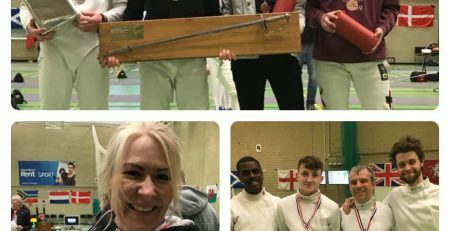 Tristan Lumineau not only came second in his age group (U13), he seconded this with another silver medal the following day fencing in the U15’s, the age group above him, only being beaten by fellow Leon Paul fencer, Omari who improved on his silver in Fairfield two weeks prior. Another highlight was Sameer’s performance, he went undefeated in eight poule matches and five direct elimination matches, well done Sameer! Not to be outdone, Jamie Summers picked up a bronze in the U11’s and Zoya Suresh won silver in the U13’s. Well done to everyone who got involved and helped create great team spirit over the two days! 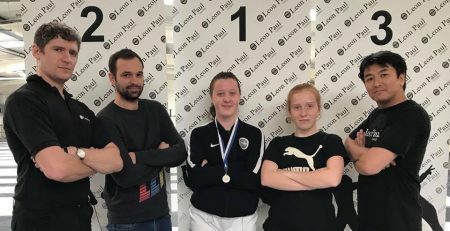 The parents of Salle Paul Foil Club have set up ‘Paul’s Café’ which provides catering at LPJS and other competitions at the Leon Paul Fencing Centre. All proceeds will subsidise competition coaching and club tracksuits. As part of Paul’s Café, any parents are free to use the bean-to-cup coffee machine in the meeting room. Please bring your own mug to lower the use of disposable cups. We recommend putting £1 in the red honesty box next to the machine. Cakes and other goodies will usually be around on the Monday & Tuesday after a catered event. Again, we ask parents to make a voluntary contribution and help themselves.